1. Penguin 4 does not place much emphasis on penalties, and it can be considered to be more lenient than its predecessor. 2. 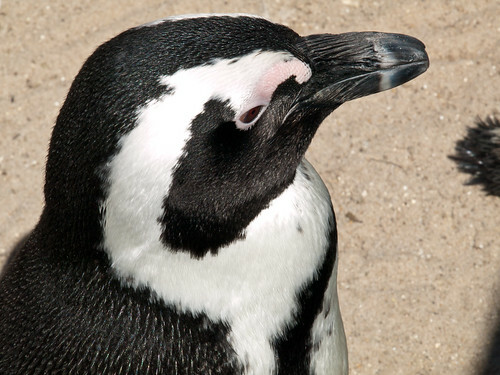 Google has used Penguin 4 to design the metrics used by the present manual spam team. 3. It can be inferred that Google considers the feature of disavow files to be redundant. 4. The novel granular formula that Google is implementing will take time to be computed, and its final release may be months away. 5. On 2nd September, Penguin 3 was terminated and removed by Google, so as to pave way for Penguin 4, which was ushered in on 23rd September. The changes in the core codes of Google algorithms mean that the spam detection format will change. Previously – even before the Penguin 3 algorithm was implemented – detection of spam links was based on index of suspicion as computed by the search engine algorithm. This old format identified spam by detecting suspicious activity, including one IP address feeding multiple links to another IP address, domain having a lot of spammy anchor texts, quick addition of lots of links, and competitors filing spam reports. This would raise the suspicion of Google, and its manual spam team was then tasked with verifying the suspicions by reviewing the implicated website. If confirmed, the links were severed from the linking-out domain, and the penalized target domain was notified about the penalty. In the public domain, this penalty is invisible; but changes in page ranking can be spotted. Likewise, a penalty score could be added, and it was set to expire after a specific duration of time. Even so, this format of spam detection has changed with the implementation of Penguin 4. It uses a spam detection system that improves on the old detection format, in addition to introducing new and intuitive changes – including comparison of each new link added to the domain against the whole link graph of that domain, along with the link graphs of domains linking to the domain of interest; and detecting and identifying any unnatural comparisons. As expected, the process of iterating and comparing the links is not only resource-intensive, but is also time consuming. However, this ranks as the most intelligent scheme of detecting unnatural (or spam) links, as the spam domains normally work in concert when sending out spam links. Therefore, it is only by comparing the unnatural links with link graphs of all the related domains that one can identify and map out all the spam domains. Another feature of Penguin 4 is that it can classify all the domains that are owned by a single entity. This function allows it group domains based on ownership, with domains owned by a single entity forming a single network. Thus, domains within a single network can be valued appropriately based on the nature of their links. Moreover, it allows for identification and comparison of natural and unnatural links within a network. The granular component of Penguin 4 will analyze the commonalities of the links among the domains contained in a network, and how each domain links to the other domains in the same network. It also inspects outbound links emanating from a single network. Therefore, based on the ratio of natural to unnatural links, an accumulative index of suspicion can be computed. Accordingly, the penalty score will be computed as the sum of the individual penalties of all the domains within the network. The granular component of Penguin also maps the unnatural links across the domains in a single network, and this allows for identification of spam patterns. Even so, emphasis will be on the target domains that ranks the highest in search engine results. This allows the algorithm to pin down the domain that is manipulating its page ranking in search results. Thereafter, the suspect links will be purged; while legitimate domains that seem to have inadvertently linked to the suspect domains will not necessarily be penalized. How Aggressive and Accurate is Penguin 4? Nonetheless, as mentioned earlier, the full effect of Penguin 4 will not happen instantaneously as there is need to re-compute the existing link graphs, as well as reclassify the link graphs as appropriate. Thus, the effects will not be immediate nor real-time, but will be felt in months to come.